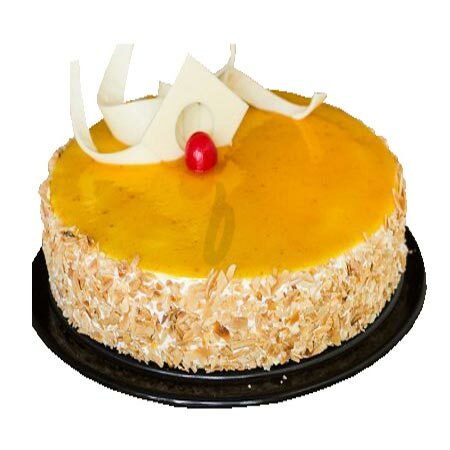 Combine your celebrations with a tropical taste with a delicious and alluring Mango cake. This one kg round shape mango cake has a thick soft sponge base and a fruity top. Juicy mango crushes and slices add even more taste to this delighting and appetizing recipe that one just cannot ignore.